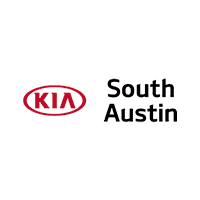 Here at Kia of South Austin people know that they can count on our lineup of vehicles to deliver something that provides a stylish and reliable ride. We have the likes of the Kia Forte, Kia Optima, Kia Soul, and much more, but now people who want a fun and exciting sports car can turn to Kia too. The Kia Stinger is set for an American release soon, by the end of 2017 or into 2018. It all started as a concept that became reality. The stunning vehicle already has received plenty of praise as its design won Best in Show by Cars.com as a concept and its fastback design with elegance and athleticism goes head-to-head with many similar four-door sports sedans that are considered higher echelon. Step inside the new Kia Stinger and you’re going to find that through minimal, the vehicle possesses plenty of luxury, be it through ultra-soft Nappa leather or in the chrome accents and technology at your fingertips. Of course, as you should expect from any sports car, it’s about what’s under the hood and how it’s coupled with the standout style. The Kia Stinger is set to offer two different engine options. The first is a 2.0-liter turbocharged four-cylinder option that provides 255 horsepower and 260 pound-feet of torque. The other is a 3.3-liter twin-turbo V6 which gives you 365 horsepower and 376 pound-feet of torque. Both use a second generation eight-speed automatic transmission that offers five different driving modes and comes with rear- or all-wheel drive. Take one look at the Kia Stinger and you’re certainly going to get excited. To learn more, contact our team as we would be happy to provide you with more details on the new Kia sports car headed our way soon!